Is your home ready for fall? Here are some helpful cool weather maintenance ideas, along with seasonal tips for houseplants and gardens. 1. Service the heating system. Beat the early winter rush! Many heating systems need to be serviced annually, and in a month or two heating contractors are far more likely to be swamped with calls. Tip: Forced air furnaces should typically be cleaned once a year, and filters may need to be changed or cleaned every month or so during cold weather. 2. Replace smoke and CO alarm batteries. Time flies... do you remember when your smoke and carbon monoxide alarm batteries were last replaced? The end of Daylight Saving Time, coming up on November 4, is a good milestone to use as a reminder. 3. Take a peek into the attic. - Detached ductwork sending moist air into the attic space instead of outside. - Signs of rodents, such as stained insulation. - Access points for pests, such as torn vent screens. 5. Clean out gutters and downspouts. 6. Drain gasoline from powered appliances. Experts write passionate blog posts about gummy deposits and possible engine death that can result from letting gasoline go stale in a lawn mower. Pruning in the fall stimulates new growth just when plants are about to go dormant, according to Rodale's Organic Life. They and other experts recommend waiting until mid-winter or spring to prune plants, shrubs, and trees. 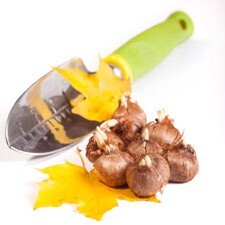 Fall is the time to plant daffodils, tulips, lilies, and hyacinths. 9. Put houseplants on a winter plan. Dry winter air is hard on houseplants, while at the same time they typically require less water. Hume Seeds has a good article about how to keep houseplants happy until springtime. 10. Do something "for the birds". Many birds migrate for hundreds or thousands of miles in the fall, and can really benefit from oil-rich food such as Black Oil Sunflower Seeds and suet. - U.S. home prices rose 5.9 percent year-to-year in July, according to a recent S&P/Case-Shiller report. They rose 6.9 percent year-to-year in August, according to CoreLogic, a data and analytics company. - The national average 30-year fixed mortgage rate is around 4 percent. The August Pending Home Sales Index dropped 2.6 percent year-to-year, according to the National Association of Realtors®. Did you know that the average Arctic Tern completes the equivalent of three trips to the moon and back during its lifetime? A helpful list of hardy plants for the not-so-green of thumb. 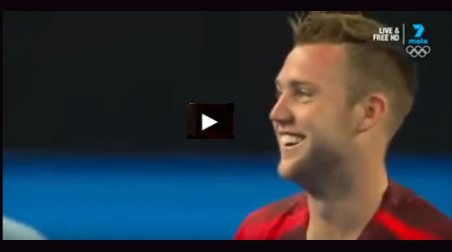 Pro tennis player Jack Sock's stellar sportsmanship created a stir when he challenged an umpire's call - in favor of his opponent! Instant replay proved him right, and although he ended up losing the match, he won the hearts of spectators worldwide. Click here or on the image above to watch the video.